Restoration work in the Citadella has unearthed a curious circular structure of hardstone pebbles set in blue clay. 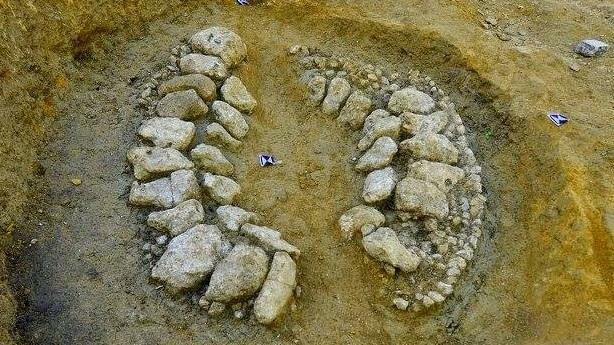 The structure might have been a fireplace or a burial structure however it is not yet known when it was built or for what. The structure is not a continuous circle as a recent trench for services cuts through it. The mysterious structure was discovered in the square in front of the Cathedral during EU-funded rehabilitation works on the Citadella. It will be preserved for future access once the site is paved as part of the project. The discovery was made last week during work on the rehabilitation of the square. The work is continuing but the authorities are considering ways how to preserve the discovery and make it accessible.